Thanks to generous donors, the 4Soils’ Bible Heroes app will be able to translate its biblically based apps into multiple languages. Lusi Chien, founder of the series of Bible Heroes apps, announced last week the children’s Bible app producer has reached the initial goal of raising $5,000 in its Kickstarter campaign. The $5,000 raised will allow for 4Soils to translate the eight apps into one language, one app into eight languages, or several apps into several languages. Because of its success, Chien said the company has adjusted its goal and is aiming to raise another $5,000 to translate 10 more apps, bringing the total to 18 apps. With $5,000, Chien said 4Soils can modify the programming infrastructure of the company’s two series of apps to allow for multiple languages. 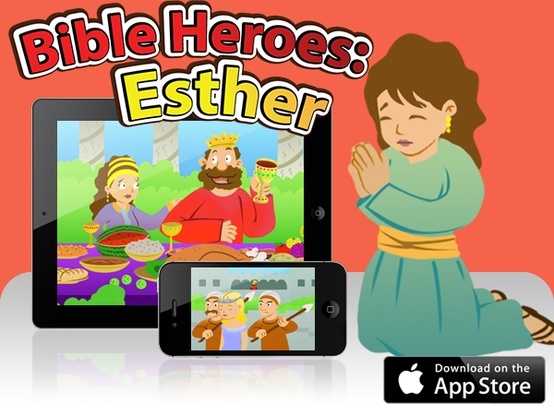 Bible Heroes includes the stories of Noah, David, Daniel, Jonah, Esther, and Joseph. Life of Jesus features His virgin birth, baptism, miracles, the last supper, and resurrection. Chien said the last two apps in the Life of Jesus series will be available by Easter. Furthermore, the funds raised will allow 4Soils to translate a total of eight apps in several languages. 4Soils is not only looking for funding to translate the apps, but also volunteers to help with the translation, narration, and marketing in various countries, which will bring the cost down and allow for more translations. A successful campaign for Kickstarter rests on backers meeting 100 percent of 4Soils’ funding amount. Therefore, if the funding goal is not met, Kickstarter will not secure funds from backers’ payment choice. It is all or nothing. Every dollar counts, and pledge amounts are never displayed to the public unless a backer does so themselves. Pledeges will be accepted through April 2. To make a pledge for the 4Soils campaign, visit http://www.kickstarter.com/projects/4soils/telling-the-greatest-story-ever-toldto-the-world. As the baby boomers enter into retirement and then come out again to return to work, it is quite clear there is no more work for most of them. That is what I keep hearing from the boomers and older retirees who attend our job seeker workshops and seminars. They are wrong! The message I try to convey is that many seniors are getting and holding down good jobs, responsible jobs. And I have learned over the years, even as I approach senior status, that many times age is not really the issue. But I am ahead of myself. Many older workers need to sell to employers the things that many employers really desire in their employees. Things like mature thinking, responsible behavior, and wisdom are important traits to be flown high on one’s flag pole of accomplishments. Employers will often value an older worker’s experience in problem solving, and the consistent attendance and punctuality which demonstrates one’s ability to fulfill a commitment. Out of a mature employee’s experience they can share the wisdom that only experience can teach. There are a few caution flags for those seniors who intend to pursue employment once again. For many smaller employers – the non-Fortune 500 employers – hiring managers are often blind to chronological age. It is not about physical age, exactly. It is about one’s ability to behave in spite of one’s physical age. It is about one’s mental age. Demonstrating vitality, enthusiasm, energy and interest is key to getting hired. Many older workers are rejected for jobs not because they are old, but because they act like the stereotypical older worker. If one hopes to be seen as a valuable employee, they must position themselves as one who learns like a twenty-something. Show how you are willing to take additional education, or learn new technologies, or venture into new territory. It is also advisable for the older worker to position themselves as submissive to authority. Many older workers are viewed as know-it-alls, hard to manage, and impossible to lead. They appear arrogant to the younger leaders in an organization. It is this perceived arrogance that stands in the way of many an older candidate trying to land a good job. Telling one’s future boss you know more than they do will not likely land one the job. David Rawles is devoting his life to helping others achieve significance. After a 31 year corporate career in HR, David founded CareerSolutions, a non-profit devoted to helping people locate, land, and succeed in their careers. 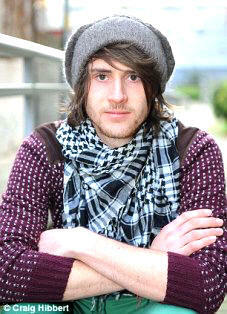 He is an author, speaker and radio host. See www.careersolutionsworkshop.org. Performance Reviews – Are they good for you or bad for you? Are they a complete waste of time? According to an article I recently read, the author flatly stated the traditional annual performance appraisal needs to be replaced because it doesn’t improve performance. That seems akin to saying that if a car you own proves to be a lemon, you ought not drive cars anymore, rather get a moped, or take the bus. We don’t need to throw the baby out with the bathwater. Rather, we need to fix the appraisal process when it is broken. We think it right for teachers to correct a student’s poor performance. We coach members of athletic teams when outcomes are unsuccessful. It seems successful behavior modification is based the quality of the appraisal process, not because an appraisal is or isn’t used. Equal participation by both the supervisor and the supervised. Clear understanding up front, of the expected behaviors and results. Regular communication discussing progress during the year. Time & privacy is allotted to fully discuss the metrics, results and expectations. Agreement on what changes will be expected in the future. Equal participation simply provides for the supervisor to fully understand what the subordinates believe they have done well and not so well. When I had a large staff, I often reminded each member that they were far better informed about many of their behaviors and results than I was, being they were with themselves constantly. By allowing subordinate participation, supervisors becomes better informed, enable themselves confirmation of their beliefs, and learn better what future corrections may be necessary. The beginning of the appraisal period should be marked by the establishment of goals and expected outcomes and results. These need to be agreed upon by both parties. Experience has taught me that when subordinates take the lead in this process, and understand the supervisors own goals, most subordinates will set aggressive, supportive objectives. If the subordinate is surprised at the end of the appraisal period by the views of the supervisor, it is the fault of the supervisor. Performance should be regularly discussed. Disappointments should be shared. And if goals need to be revised, up or down, both parties should not wait until year-end. That never helps the performance or the relationship. At the end of the performance period the appraisal discussion should be scheduled allowing plenty of time to talk through all issues, in a location without interruptions. Cutting corners on this meeting can have a negative effect on the following year’s performance. And if the allotted time is not enough, the flexibility to schedule a second follow-on session is very helpful. Finally, once both parties can then agree what needs to be changed, what goals are to be achieved during the next performance period, and what improvements, if any, are expected, it is much more likely performance will be improved and both parties will be pleased. David Rawles is an HR Executive devoting his life to helping others achieve significance. He is the founder and president of CareerSolutions, a Christian non-profit organization devoted to helping people locate, land, and succeed in their careers. More info at www.careersolutionsworkshop.org. 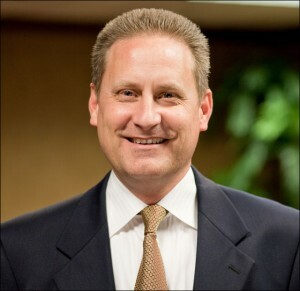 Steve Green, president of arts and crafts retail chain Hobby Lobby (www.hobbylobby.com), has been named the 2013 recipient of the John M. Templeton Biblical Values Award by the National Bible Association (www.nationalbible.org). The organization will recognize Green’s accomplishment at the annual NBA awards luncheon in New York City on April 15 at the Union League Club. The award is named after John M. Templeton, who successfully integrated work and his Christian faith. By using his investing talents to help ordinary people and practicing biblical values in the work world, Templeton serves as a model to all business executives of faith. “The honor goes to a nationally recognized business leader who exhibits values the Bible promotes, takes the Bible into the marketplace, and lives it, said Richard Glickstein, president of the New York-based organization. Founder in the early 1970s and headquartered in Oklahoma City, Okla., Hobby Lobby has 525 arts and crafts retail stores with more than 20,000 employees in the U.S. The decision to close stores on Sundays cost the company more than $100 million in product sales each year. The decision to pay all new employees at least 80 percent more than the minimum wage is a further reflection of the company’s values. Hobby Lobby also offers biblically based spiritual and financial counseling to its employees. “The guidelines that are given to us in Scripture. We believe they are God given. As our Creator, He knows what works best. Sometimes it is counterintuitive we think to be the most successful we have to be open longer hours, but the guideline the Scripture says to take a day of rest, Green said. Nearly half of Hobby Lobby’s annual profits are donated according to Biblical principles and for the promotion and reading of the Bible itself. These donations have allowed Hobby Lobby to acquire one of the world’s largest private collections of Bibles and Biblical artifacts, a collection that will be housed in a 50,000-square foot Bible museum opening in Washington, D.C., in the near future. Green has been at the forefront of this project since its beginning in 2009. NBA will also make a $25,000 donation to a nonprofit charity designated by Green that has biblical values. Glickstein said the NBA was founded 71 years ago during World War II by a group of American business leaders. The mission of the organization is to encourage individuals to read the Bible. Early in the existence of the NBA, the members were asked by NBC radio to read the Bible over the station’s coverage of the Japanese’s attack on Pearl Harbor in December 1941. 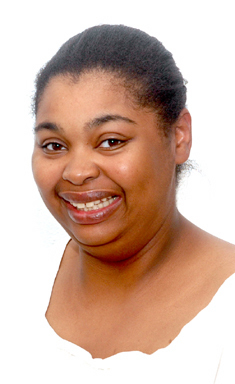 Tonya Andris contributed to this report. There’s no two ways about it: children are spending more time than ever on mobile devices. To help rest the minds of parents, Lusi Chien has found a way to do so. 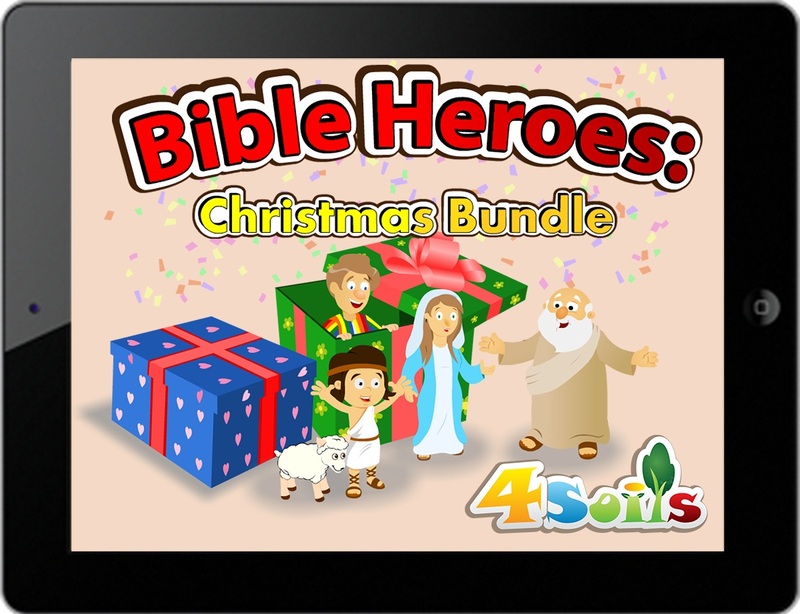 The Bible Heroes app was created with children and parents in mind. Based out of Stanford, Calif., the series of apps, created by Chien’s company, 4Soils, is based on the principles of making learning the Bible exciting. In return, children can relate to the great biblical tales. The Bible stories featured the series are: David and Goliath, Daniel and the Lion, Jonah and the Big Fish, Esther and the King, Noah and the Ark, Joseph and his multicolor dream coat, and the Christmas Story. 143 animated scenes that invite children to read or listen to biblically accurate accounts of all the Bible heroes. The stories come to life through vibrant illustration and touch animations. Each story features scriptures from the Bible and a closing lesson to reinforce key concepts. 41 thrilling game levels which engage children in activities and games as they journey into the world of the Bible heroes for hours of endless fun! 91 coloring pages for children to use their imagination and recolor all the Bible Heroes to their liking. Chien said 4Soils relies on the input from parents, Christian educators, and youth pastors to help improve the app. The app – available for download on the App Store – is compatible with iPhone and iPad. iOS4.3 or later is required for the apps to operate. Learn more about the production process behind the Bible Heroes app, visit the 4Soils blog. Apartment Life CEO Stan Dobbs recently received some good news. Fortunately, for nine out of the past 10 years, he has received this good news. “It has become common place around here,” Dobbs said with pride. 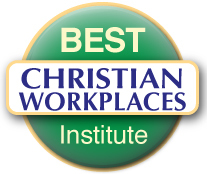 The Hurst, Texas, company – founded in 2000 – was one of 38 companies in the United States and Canada named the Best Christian Workplaces Institute’s Best Christian Workplaces list. Apartment Life is not the only Texas business to make the list. 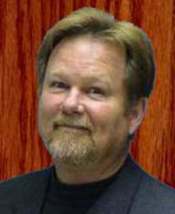 89.3 KSBJ, a contemporary Christian radio station in Humble, is also honored. Through its CARES program, Dobb’s company partners with apartment management companies to create community building strategies within complexes. The teams, which include couples and singles who are professed Christians, reside in apartment complexes to specifically bring people together and make a difference in the lives’ of the residents. Dobbs said the company works with 350 complexes nationwide and 120 throughout the Dallas-Fort Worth metroplex. BCWI, which began in 2002, is an independent, non-profit research organization that surveys employees of Christian organizations to determine how well they are doing. The confidential questionnaire asks about job satisfaction, commitment, Christian witness, the effectiveness of supervisors and management, personal growth and development, teamwork, communications, along with pay and benefits. American Bible Society – New York, N.Y.
Ben Lippen School – Columbia, S.C.
Briarcrest Christian School – Memphis, Tenn.
Calvary Church – Grand Rapids, Mich.
CapinCrouse LLP – Greenwood, Ind. Christian Leadership Alliance – San Clemente, Calif.
Church Web Works – Renton, Wash.
Community Bible Study – Colorado Springs, Colo.
English Language Institute/China – Ft. Collins, Colo.
Focus on the Family (Canada) Association – Langley, B.C. Grace University – Omaha, Neb. Heritage Christian Academy – Overland Park, Kan.
HOPE International – Lancaster, Penn. Joni & Friends – Agoura Hills, Calif.
Lake Ann Camp – Lake Ann, Mich. Logos Bible Software – Bellingham, Wash.
Olivet Nazarene University -Bourbonnais, Ill.
Samaritan Ministries – Peoria, Ill.
Santa Fe Christian Schools – Solana Beach, Calif.
SpringHill Camps – Evart, Mich. The Navigators – Colorado Springs, Colo.
Third Millennium Ministries – Orlando, Fla. Upward Sports – Spartanburg, S.C.
Whitworth University – Spokane, Wash.
World Harvest Mission – Jenkintown, Penn. can sell themselves out of a paper bag. But, what if these clever individuals lack the belief in the product? Are you less or more likely to purchase it? Business owner, I tell you today that you must be able to convey to your customers that you have a passion for your product. Forget about turning a buck so quickly, and get to the root of why God has called you to the world of entrepreneurship – to make someone else’s life better. There are stories upon stories about entrepreneurs who have taken their desire to make a needed service into a profitable corporation. The one I enjoy reading is Tony Hsieh, CEO of Zappos.com, an online shoe and apparel store. Legend has it that the inspiration of Zappos.com, which is based in Henderson, Nev., came about because Hsieh could not find a pair of brown Airwalks in the mall. Hsieh wanted everyone to have the chance to purchase the best brands. Better yet, the brands are never out of stock. Hseih did not have a passion for shoes, but he does have a passion for providing customers with exceptional customer service. I can attest to the quality of the company’s customer service. In the business world, patience is often overlooked. Everybody wants to be first. Do not confuse patience with dragging your feet. Patience involves devising a detailed map or steps to achieve a goal. If you don’t practice patience in business, mistakes occur or opportunities are missed. The Bible says, “A man’s wisdom gives him patience” (Proverbs 19:11, NIV). Whenever you start to get in a rush to jump into a venture, think about your relationship with Christ. If you have ever brought a wayward child to Christ, you would understand. You plant seeds along the way, and the greatest reward is that person eventually accepts Christ in their heart. Just imagine if you would have thrown Christianity at them – would you have received the same end result? Plus, there is no timetable. You ask God to deliver the tools you need to make the gift He has given specifically to you to mature in time. The calling to become an entrepreneur is not an easy one to us, but God placed it in your heart because He knows your abilities. Some of you might doubt yourself or others might attempt to channel their negative energy onto you, but God will make a way. I was one of those people who had no other choice but to let Him guide my steps. Prayer and mediation is a big part of what keeps me doing this entrepreneurial thing every day. Pray consistently. It is not the bank loan or the customers or clients that will keep you afloat, it is your devotion to the One who gave you the skill set to take the journey. It is interesting how God places things in our hearts. The best advice is to never challenge His moves. The more you embrace and pray for Christ’s guidance in a business venture, the clearer the vision for you becomes. I always tell individuals who approach me about marketing, it the process is not one that takes place overnight. According to Entrepreneur magazine, the ideal strategic marketing takes at least six months. But the mindset is understandable. The world is the same way. But, as believers, we don’t have to replicate the world. Contact Tonya via Twitter @twhitaker1974 or at admin@mediaspencer.org.